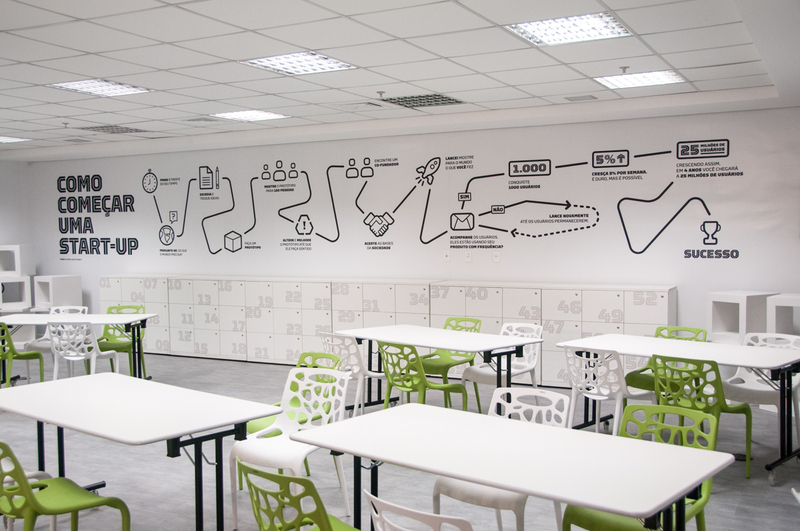 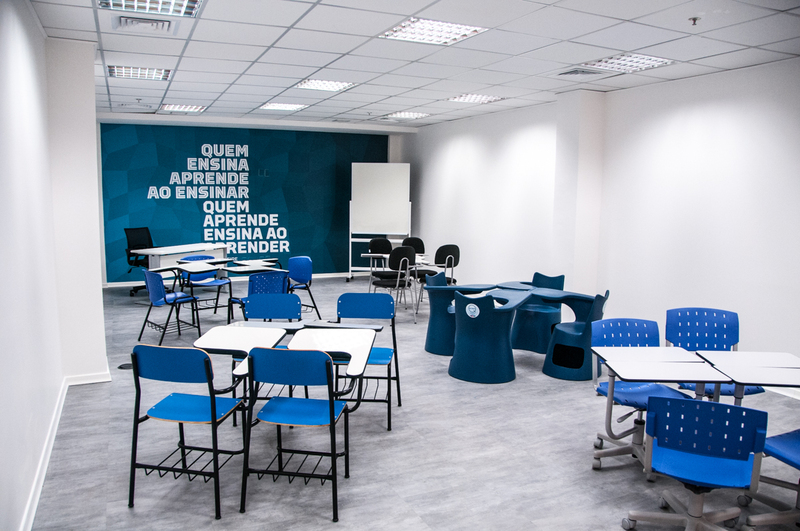 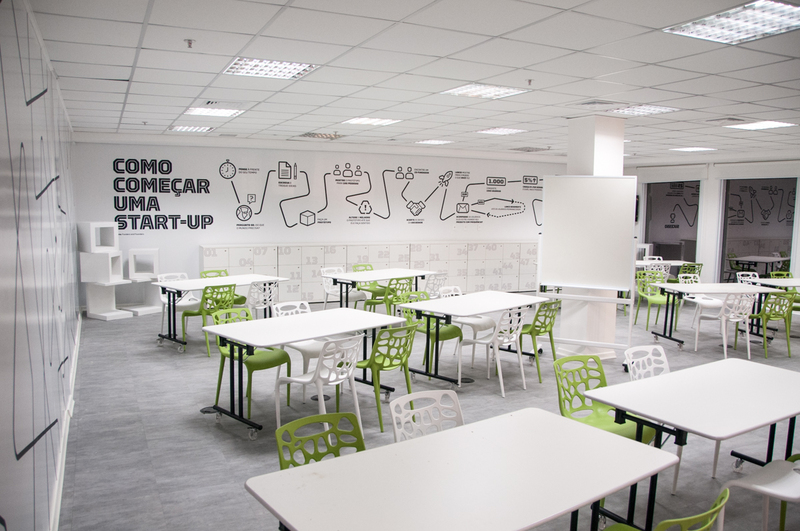 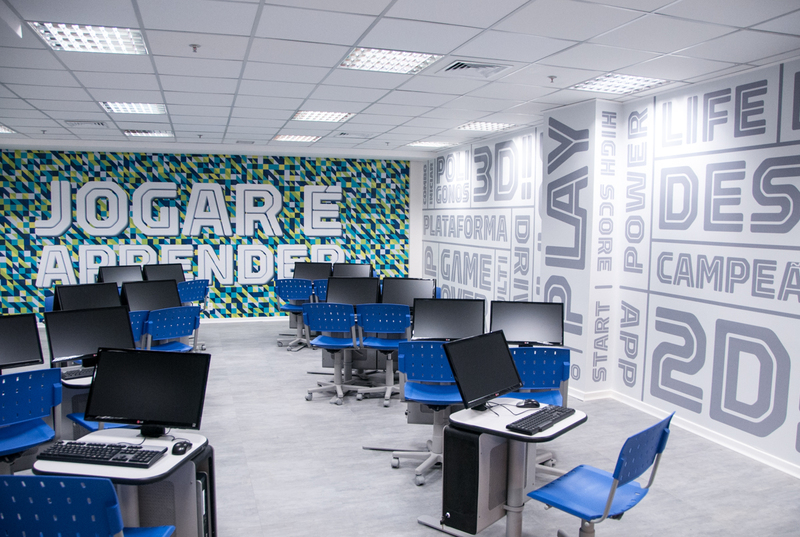 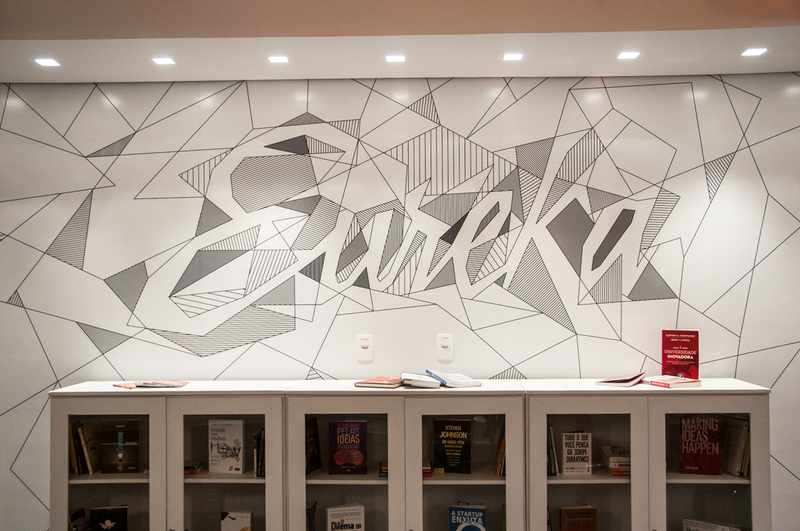 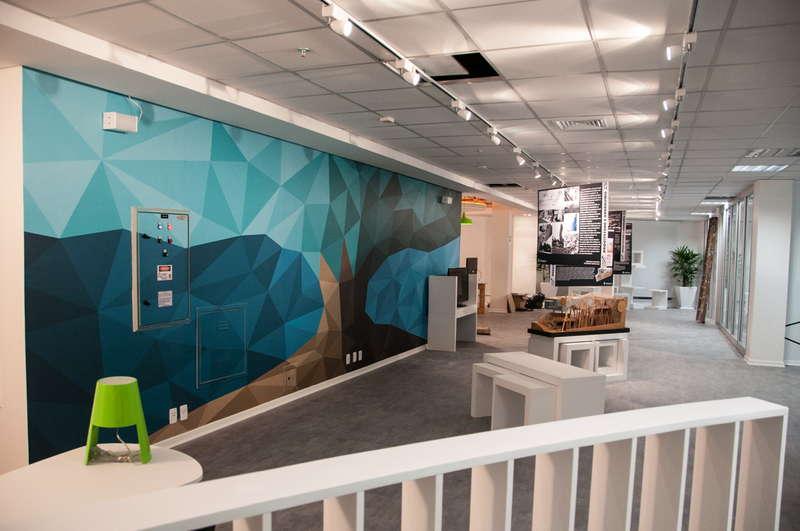 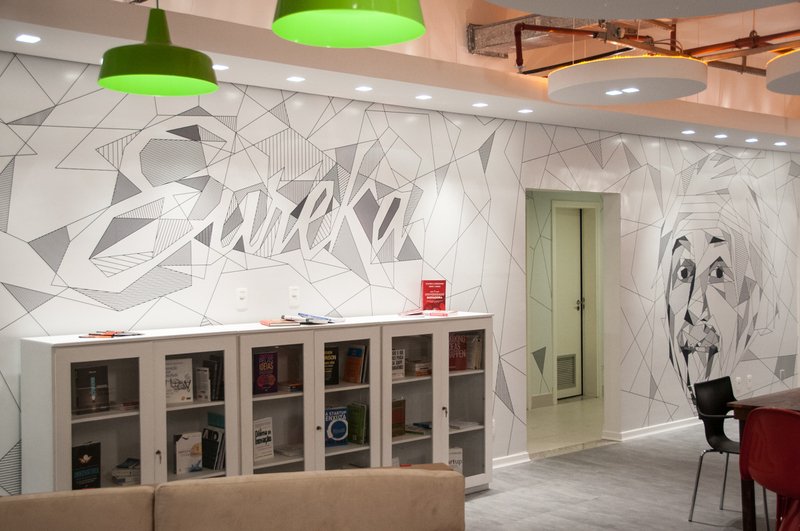 Estácio University planned a new flagship innovation floor on their main Headquarters. 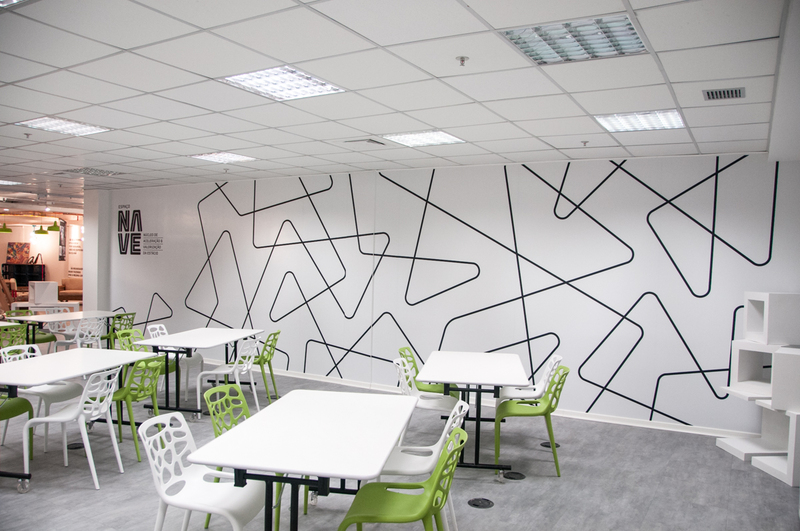 Our challenge was to unify different purpose spaces in one unique design voice. 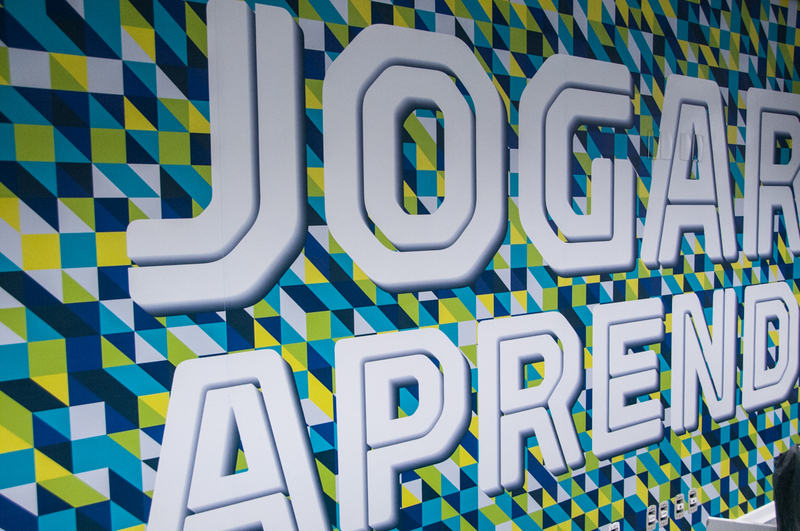 We did that by using a single typeface, the excellent Torque by Type Supply and keeping the color palette simple and on brand. 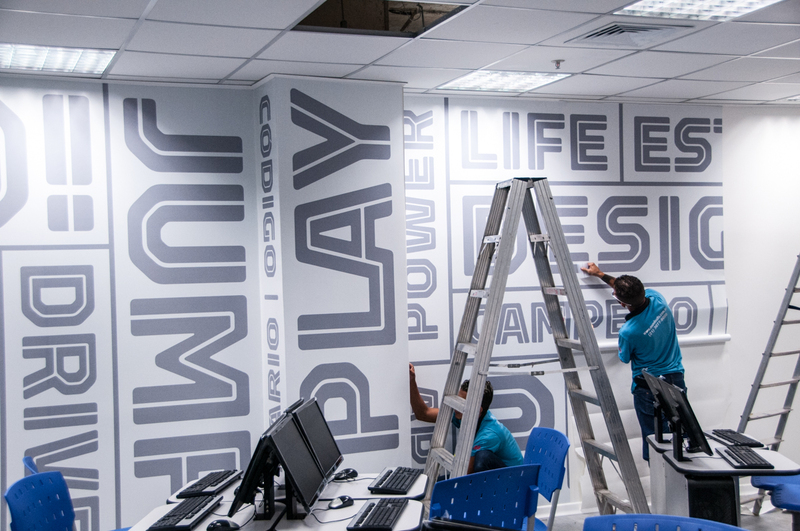 We designed information graphics, pictograms, quotes from known educators and innovators in a way that either grabbed attention or receded, depending on each room's objective. 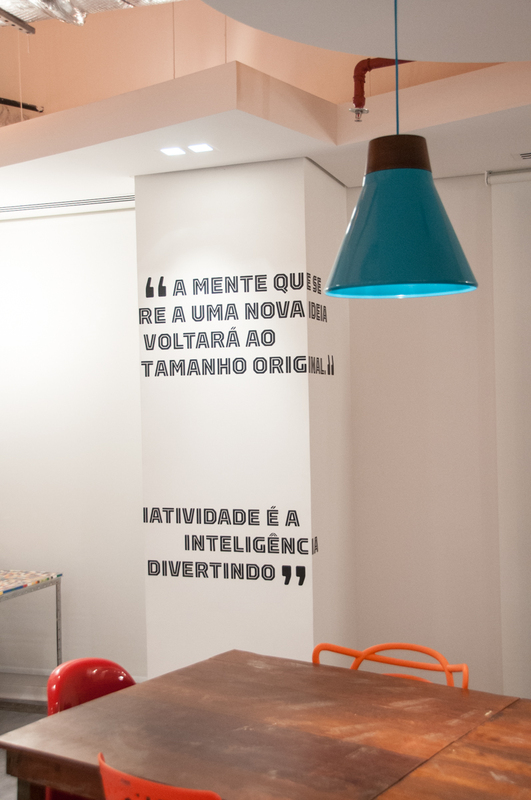 Simply put, we had a heck lot of fun with typography and illustration to help communicate Estácio's particular vision of the future.